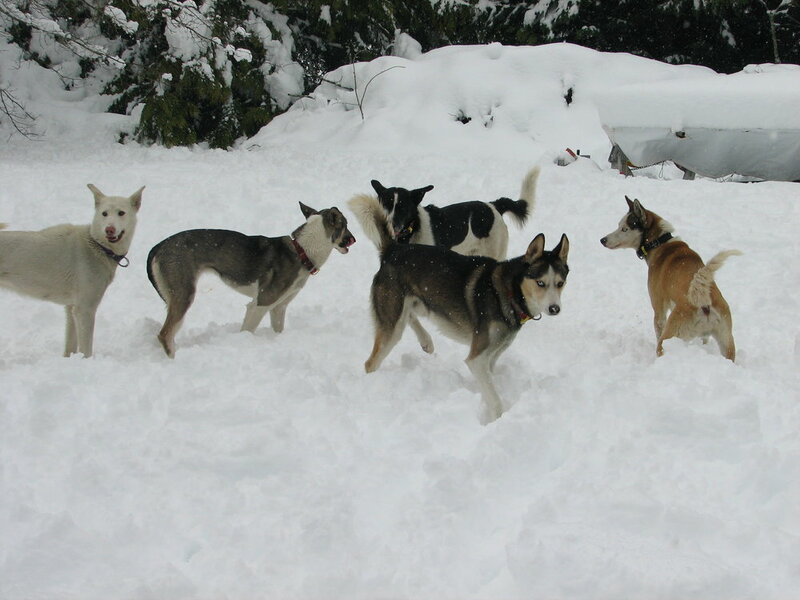 In 2001 I imported the first team of Alaskan Huskies into New Zealand. Bean and Inca. Their Father was Martin Buser's XL and there Mother was Venus from Axle Gasser .. 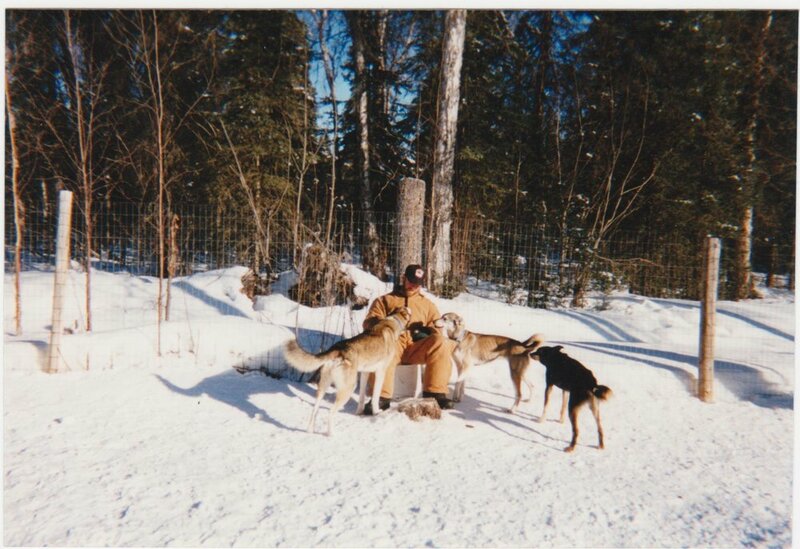 I then imported two more Alaskan husky puppies, Pebbles and Baldy... and suddenly my team was growing. Ten years ago on the 30/11/07 the first litter of Alaskan huskies was born in NZ, 5 pups from Bean and Pebbles... During this time I had also imported 6 more dogs .... Not a huge kennel but enough for here in NZ. I stopped racing quite a few years ago.. and spend my winters running my dogs recreationally on the snow up at the Snow Farm situated on the Pisa Range between Queenstown and Wanaka. 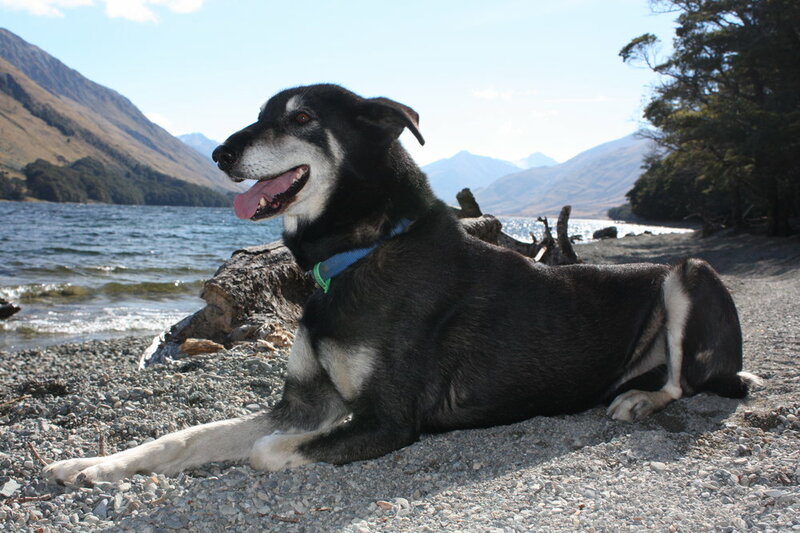 In 1996 My X wife and I organized the original Wanaka Sled Dog festival (which still runs today) my only involvement with it now, is as the trail boss ... I also in 1998 co organized the Waiorau 50, it was the longest snow race in New Zealand, but it is no longer run. I was also involved with the first commercial sled dog tours operation in NZ and still occasionally guide for Underdog sled dog tours. Since I now only run purely for recreation and for the joy of it , training is very fun orientated, and there is no huge distance to run here. I start pre-season running the dogs along Oreti beach.. just focusing on tight lines and making sure the dogs are happy and having fun, and once the snow starts to fall, every weekend is spent on the mountain , lots of run ,rest, run as this is the nature of tour work here for the dogs that are occasionally used in the tours ..
My dogs spend a lot of time free running when I'm home. Occasionally on hot summer days, we'll take them to the beach or local lake/river to splash around in, but they tend to sleep a lot on the real hot days. 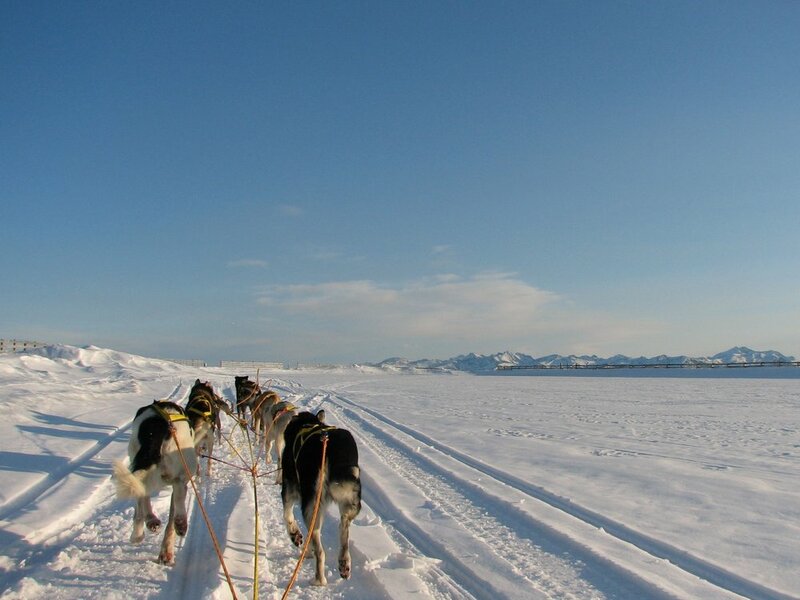 For me, my most memorable experience was the first time I ran a team of Alaskan huskies in Alaska. I had never felt a constant power and drive like it ...but I also have always felt very fortunate to have been able to run some of the last of the Mawson husky's that came from the Australian Mawson station in Antarctica that were moved to Minnesota.. in Minnesota in 1998. Always remember to enjoy your time with your dogs, have fun when working with them, always finish a run on a positive note. It takes time, patience and consistency to train a team. Keep your lines tight, you don't have to talk to them the entire way around a trail.. and for anyone that says you cant do it, there will nearly always be someone to prove us wrong. I also believe dogs are a reflection of their environment. 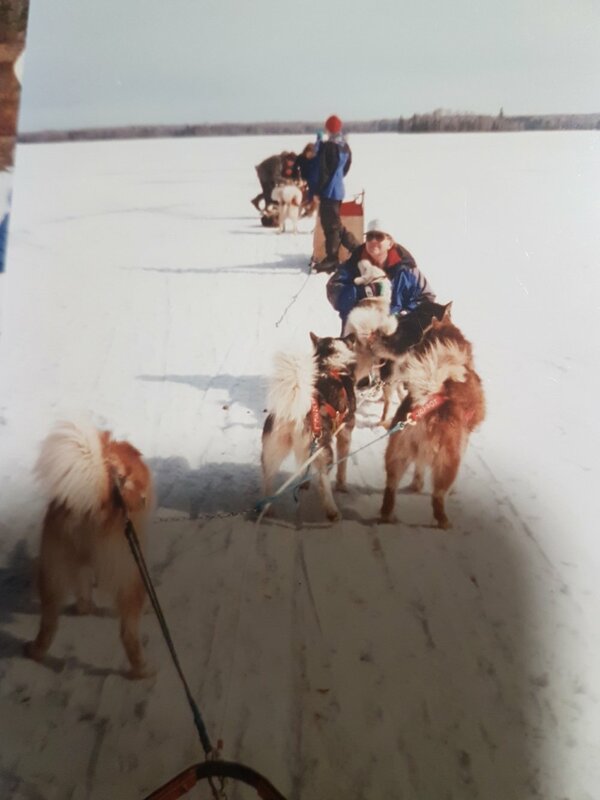 "My first snow race back in 1994 with Mikya and Badger"
"Australian Mawson Huskies that I ran in Minnesota in 1998."